This weekend Texas was hit by Category 4 Hurricane Harvey, the largest hurricane to make landfall on Texas in decades. The Coastal areas took the brunt of the storm and wind damage, and now Houston is experiencing the worst flooding in U.S. History, causing catastrophic damage throughout the state. 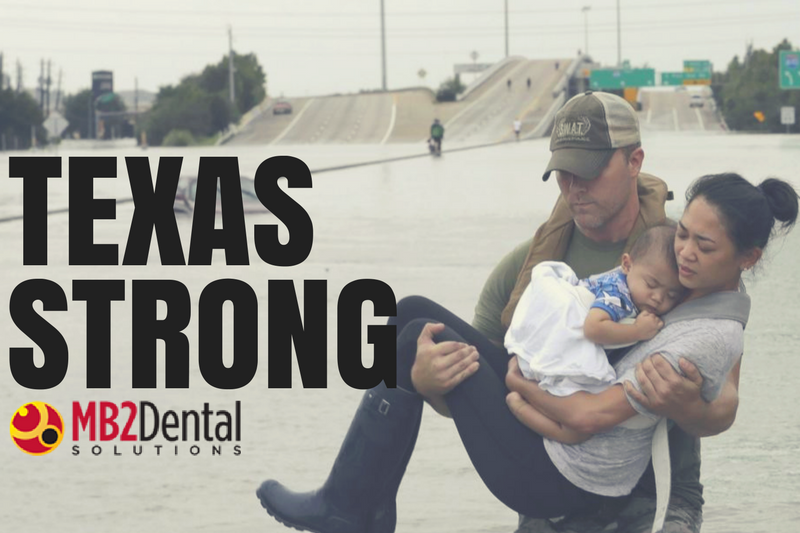 We at MB2 Dental Solutions are completely heartbroken over the tragedy Hurricane Harvey has caused for our brothers and sisters in Texas and Louisiana. Over 200 MB2 affiliatedemployees and 24 affiliate offices were impacted by the storm. Although all employees are safe and accounted for, many had to evacuate their homes leaving everything behind. Homes, cars, pets, and all possessions left behind. Until conditions are safe we are unable to even completely assess the damage to homes. Its times like these that we must come together to help those in need, to help our fellow MB2 family. 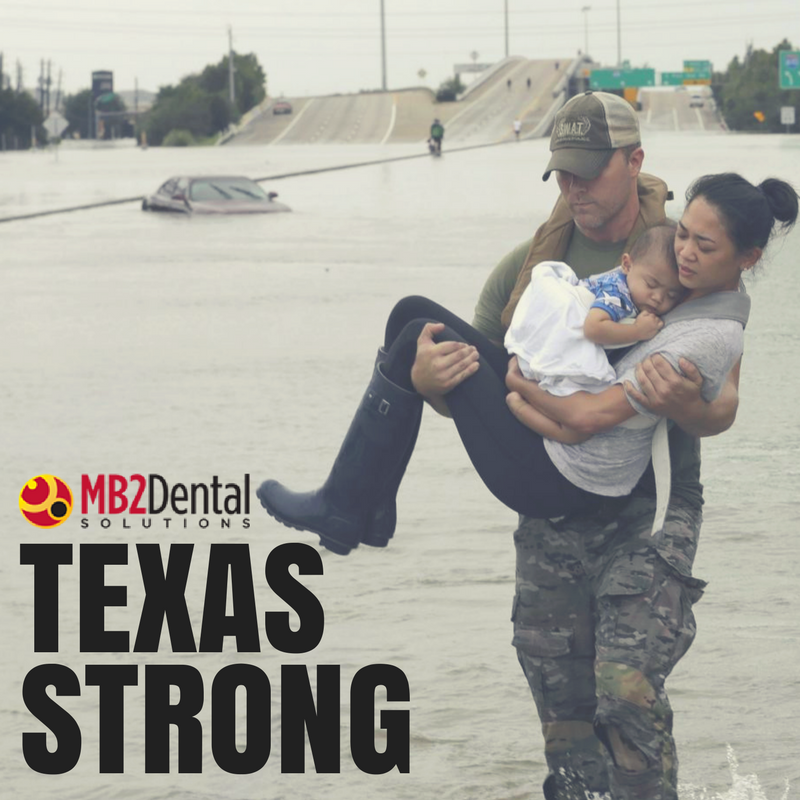 All donated funds will go directly to MB2 employees affected by Hurricane Harvey to rebuild their homes and resume their lives. Every little bit helps. To kick-off this campaign, our founders are donating $15,000. “All, the images and reports of conditions in South Texas are heartbreaking. Our primary focus has to be the well-being of our employees, patients and all affected. Always remember that our business will go through ups and downs.. but what will define us as an organization is how we affect the communities that we have the privilege to serve. Thank you everyone for all the hard work, and all the hard work ahead. I'm confident that together, we'll get back on track soon enough.